There’s a lot riding on Captain Marvel’s fiery shoulders. It’s the first Marvel Studios film led by a woman, which happens to be co-directed by a woman, featuring an original musical score by a woman, opening on International Women’s Day. After a decade of mostly dudes suiting up in spandex and flinging magic hammers, the mighty Marvel Studios is putting a female front and centre. But as the penultimate Marvel movie before Avengers: Endgame, due out in April, Captain Marvel has a lot of work to do, including introducing the character and teeing up the Avengers finale — all while weathering a wave of controversy. There have been many versions of characters named Captain Marvel and Ms. Marvel — not to mention DC Comics’ own (and completely different) Captain Marvel, now renamed Shazam!to avoid further confusion. But in the world of Marvel Comics, the original Captain Marvel — a man — was introduced in 1968, with a comic about an alien hero known as Mar-Vell. The title was actually part of a strategy to trademark the name. In the late ’70s, with the women’s liberation movement growing stronger, Marvel launched a new title around a supporting character named Carol Danvers, naming it Ms. Marvel. Costumes for Ms. Marvel looked more like bathing suits, but that changed when writer Kelly Sue DeConnick created a new storyline for the character in 2012. 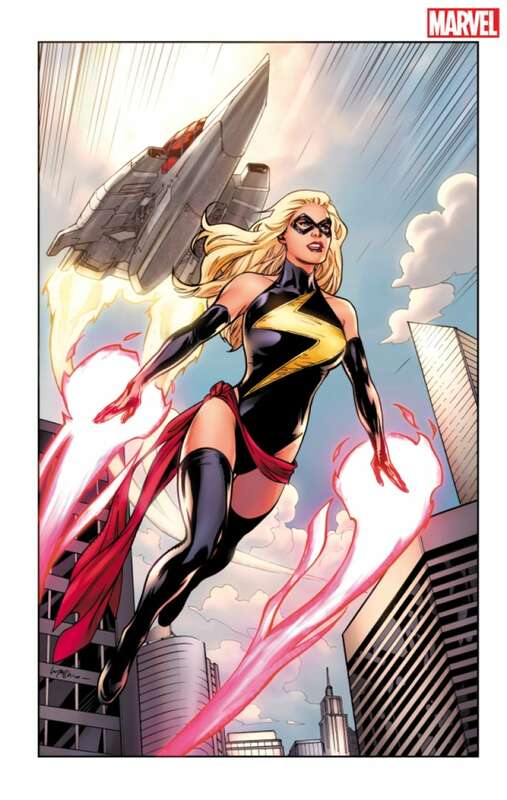 Under DeConnick, Ms. Marvel became Captain Marvel, an air force pilot who discovers she has superhuman abilities of strength, flight and energy blasts. 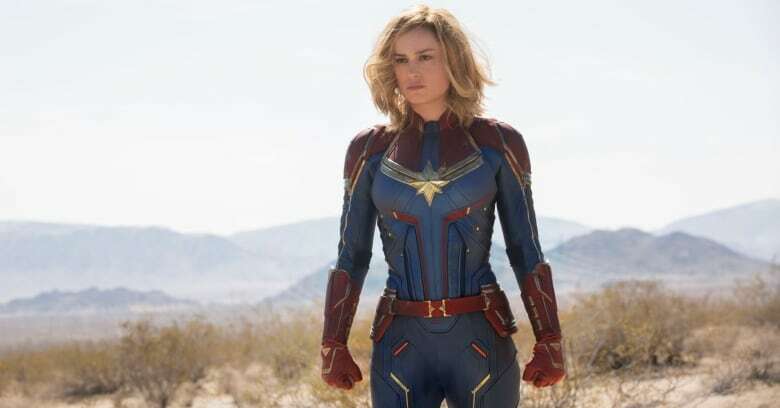 To fit her military background, Captain Marvel’s costume was reconfigured as a red, gold and blue flight suit, complete with helmet mode for interstellar adventures. DeConnick’s reboot of the character was so successful that the writer was brought in as a consultant for the movie. Where does the movie begin? As Captain Marvel, Brie Larson isn’t just battling expectations; she starts by slugging her way through an identity crisis. The film’s first glimpse of Larson is as Vers, a member of a Kree combat unit called Starforce.The Kree are an alien race with advanced technology, locked in a war with a shape-shifting species known as the Skrulls. Although Vers has formidable strength and glowing power fists, she struggles with flashbacks of another life on Earth, where she was a test pilot named Carol. 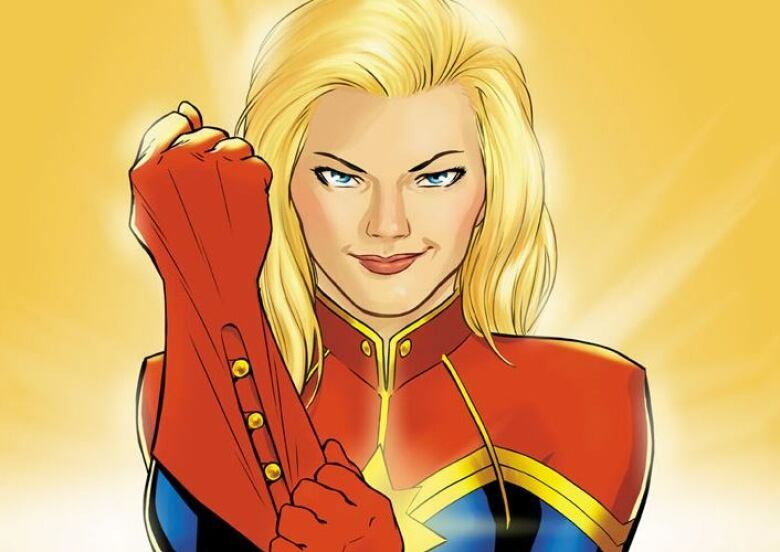 When is the Captain Marvel movie set? On the run from the Skrulls, Vers crashes on Earth and wakes up in a Blockbuster video store. The year is 1995. TLC and No Doubt are on the radio and the grunge look is high fashion. 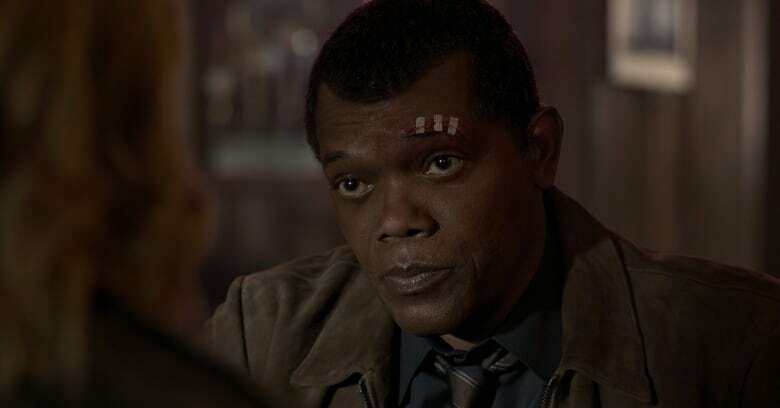 The most surprising blast-from-the-past is a young Nick Fury; Samuel L. Jackson still plays the S.H.I.E.L.D agent, now 24 years younger, with two eyes and plenty of attitude. As has been done before, Marvel Studios used Lola VFX — the same visual effects company who created digital facelifts for Michael Douglas and Robert Downey Jr. — to de-age the 70-year-old Jackson. Captain Marvel marks the first time Lola VFX has digitally altered a character that appears in the majority of a film. What’s behind the backlash against Brie Larson? In February, speaking to Marie Claire magazine writer Keah Brown, Brie Larson called attention to what she described as the “the overwhelming white and male” critics reviewing her films and participating in media opportunities. After speaking with other critics of colour, Larson said she decided to use the power of Captain Marvel to make her press days more inclusive. The result was a refreshing change, Machado says, where they were able to more deeply explore issues of representations with the actors. While the first wave of official reviews have generally been positive, Larson’s original comments were interpreted by some as an attack against all white men, leading to a backlash on Twitter and a wave of negative reviews on Rotten Tomatoes. In a practice known as “review bombing,” users flooded the film-review aggregator with negative comments weeks before the film opened. Rotten Tomatoes’ approved film critics are still be able to review the film before the official release and can add to Captain Marvel‘s “Tomatometer” score, which is separate from the site’s audience rating. What do women think about Captain Marvel? With female screenwriters, a composer and co-director, the studio is trying to sidestep the clichés and tropes that plague most female characters. Wasn’t Wonder Woman the first female-led superhero film? Nope. That would be 1984’s Supergirl,starring Helen Slater in a skirt as Superman’s cousin. 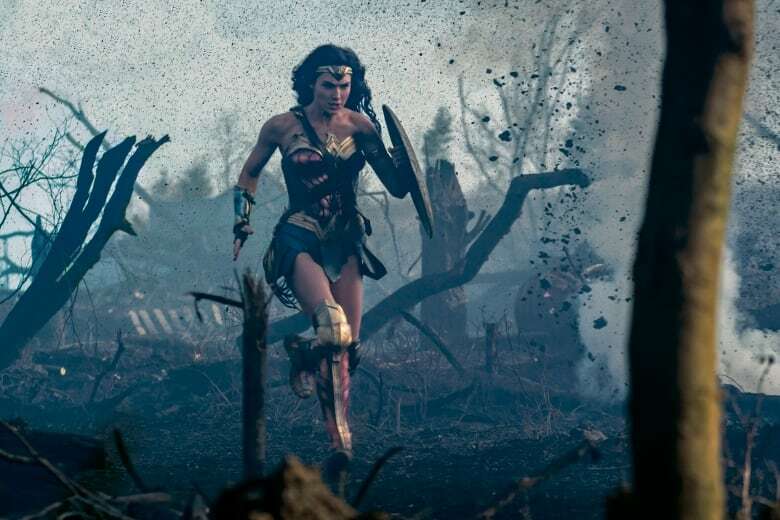 More recently, Wonder Woman won over critics and audiences with the 2017 standalone film starring Gal Gadot and directed by Patty Jenkins — a soaring combination of heart and heroics that helped plot a new direction for the formerly grim and gritty DC Comics Extended Universe. At the end of Avengers: Infinity War, as Nick Fury is dissolving into ash, he manages to activate a pager which sends a signal matching Captain Marvel’s uniform. 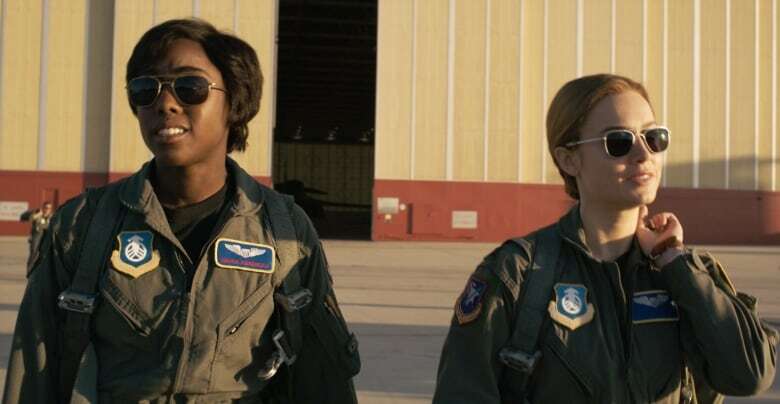 The Captain Marvel movie essentially acts as a prequel to the last decade of Marvel films, explaining how Captain Marvel and Fury first met, and setting in motion events that led to the first Avengers film. Brie Larson is listed in the credits to Avengers: Endgame and is expected to return for that finale.